We get out of the house simply to save my sanity. Okay, yes, the kids need to breathe fresh air, run out some energy, and play with friends… but mama also needs it. And those hot summer temps and days spent outdoors… SWEATING. Add on chasing your toddler through a parking lot (or catching her just before hitting the street), fighting with them to get in their car seat (and buckled, yikes), pushing that double stroller three-quarters of a mile to the neighborhood park (and back), playing tag (why am I always “it?”), and playgroups at the park (where have all the shady trees gone?! )… SWEATING. 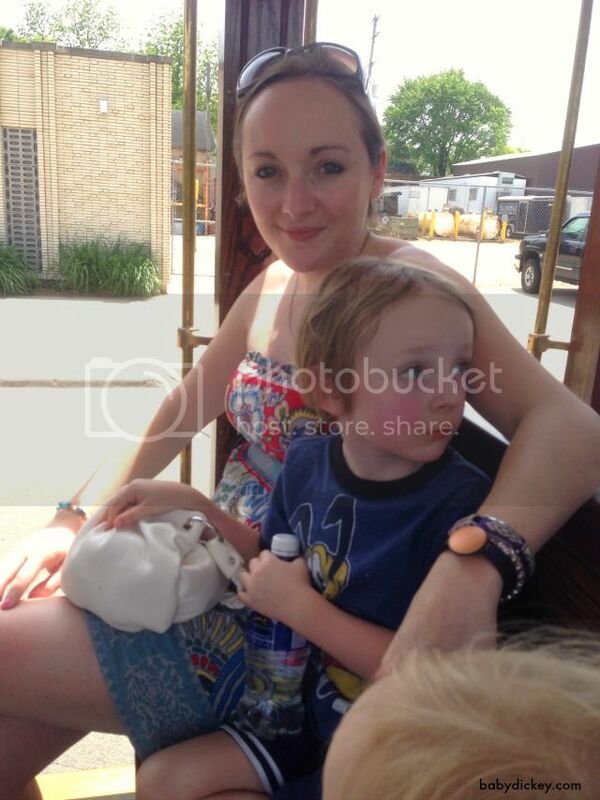 Hottest trolley ride ever. I’m holding my arms out because… SWEATING. We all know that our family tends toward more natural products. I’m especially picky about products that go on our skin, as it’s the gateway to the entire body! What goes ON your skin, goes IN your body! I started on the hunt for natural deodorant a LONG time ago. I started years ago with some big, white, glossy ball of… something. I had to get it wet under the faucet before rubbing it under my arms. Yes, it was natural, but it was a pain. And it didn’t work that well. I moved on. I found Tom’s of Maine. Now the whole family uses the brand… toothpaste, too. 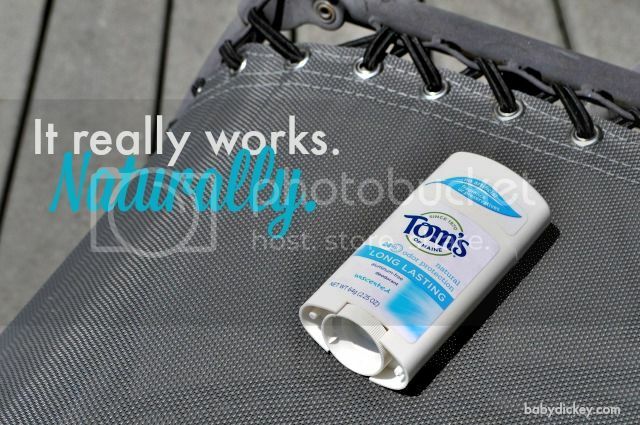 I even got my husband to switch HIS anti-antiperspirant for Tom’s natural deodorant. 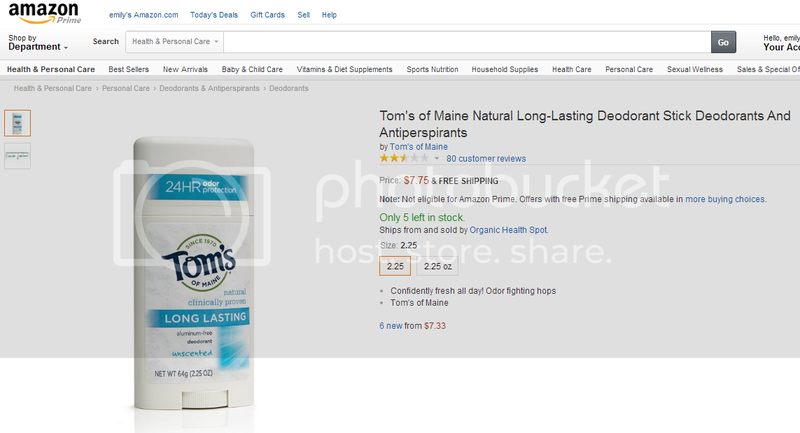 They sell all kinds of Tom’s of Maine products on Amazon, including my unscented long-lasting deodorant. They have it in a cucumber grapefruit scent, which just sounds delicious… next time I might live a little wild and try it 😉 My family isn’t new to Tom’s of Maine so as repeat buyers I feel confident in telling you to try it out. Stay #FreshNaturally. What’s making YOU sweat this summer?! 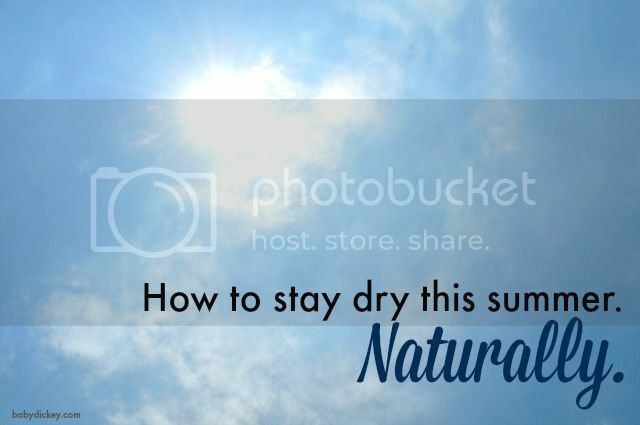 Now you can do something about it… naturally! 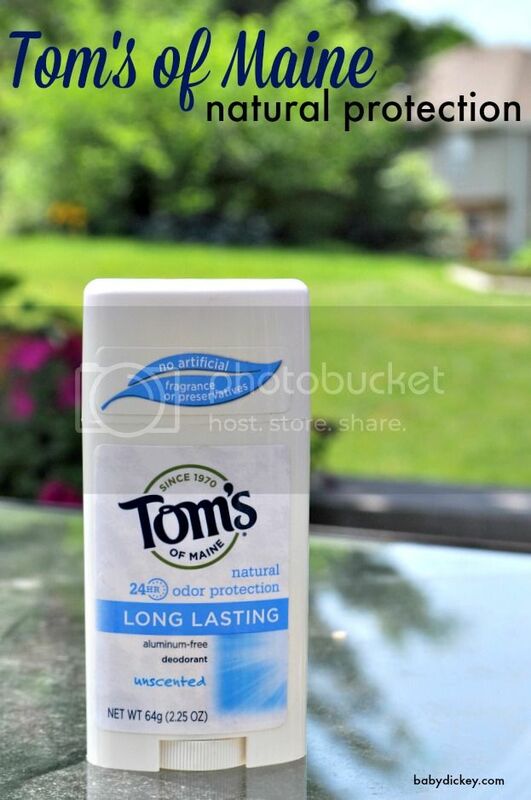 I love Tom’s toothpaste, but I’m not sure I’m ready to try the deodorant. We’re slowly switching to all natural products in our house. « Bumbleride’s NEW Indie 4 stroller: ready. explore. uniquely you.